Welcome to the 2015 90 Degree Show Week 5! This week we talk about a very good mathcup with Delaware State vs. Morgan State, Bethune Cookman vs North Carolina Central and Clark Atlanta University vs. Morehouse along with some other great matchups from the weekend.This year we welcome the great Christy Walker to the podcast, along with the owner and founder of Block Band Music and Publishing, Rashad Watters. Welcome to the 2015 90 Degree Show Week 4! This week we have a good rivalry between Florida A&M and Tennessee State University The State Fair Classic with Prarie View A&M and Grambling, the Circle City Classic with Kentucky State and Central State, the Battle of the Bay with Norfolk and Hampton, the Chicago Football Classic with Morgan State and Howard, Alabama A&M homecoming with University of Arkansas Pine Bluff and Rashad will talk about the VA vs. NC BOTB. This year we welcome the great Christy Walker to the podcast, along with the owner and founder of Block Band Music and Publishing, Rashad Watters. Last but not least we welcome the great Ashlee Nicole who always has a pulse and her ear to the ground in the marching band world. 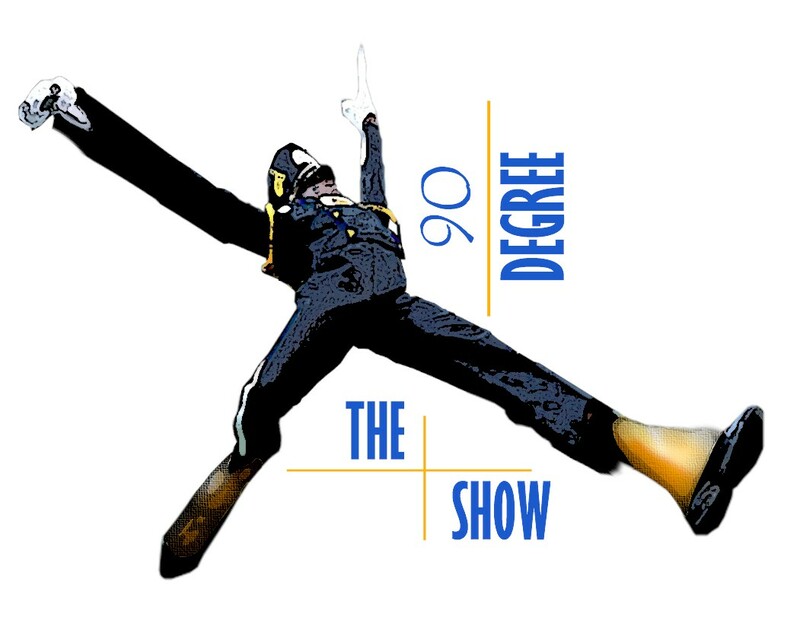 Welcome to the 2015 90 Degree Show Weeks 1 & 2! Welcome back to a new season of marching bands. 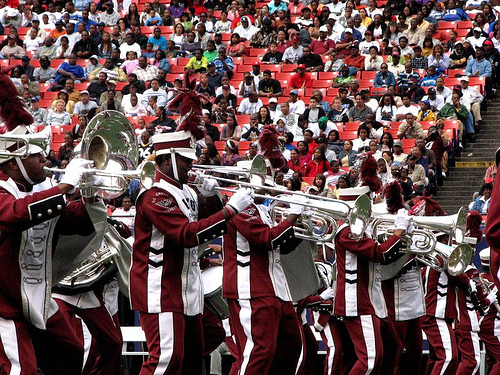 This week we recap Week 1 to introduce how bands are looking this year including the Queen City Battle of the Bands, the joint performance with UNC and NC A&T and we go over some of the matchups we saw in Week 2 including the Southern Heritage Classic between Jackson State and Tennessee State. In our last segment we discuss important topics regarding our schools and/or our music programs. This year we welcome the great Christy Walker to the podcast, along with the owner and founder of Block Band Music and Publishing, Rashad Watters. Last but not least we welcome the great Ashley Nicole who always has a pulse and her ear to the ground in the marching band world. Lastly we will try to cover all the band news that we saw from over the summer. We are back for the 2014-15 College Football Marching Season, and we are excited for the upcoming season. This year we are going to keep our current format of the show, but we are looking for more participation from the people who attend the games. Some of this is the nature of the beast, but to help facilitate people calling in is to feature the videographer that filmed the featured match up for that day. We want to support these filmmakers because of the value they add to our craft. Our goal in sponsorship is to help sponsor the travel expenses for these hardworking filmmakers. Make sure to call in at 718-664-6025 on Sunday’s at 8pm EST and tell us what you think about what you saw or about the game you attended. The games listed below are the featured match-ups for the upcoming year and the intriguing match-ups, that if we have time that week, we will discuss. Some of the match-ups may not happen if the bands do not travel, and we will make note of that in the corresponding week prior to the broadcast. This post will be updated when a production company agrees to film one of the open slots below. August 31 – North Carolina A&T vs. ALAM (SWAC/MEAC Challenge) filmed by Eight To Five Entertainment & Thomas L. Jones Jr.
October 5 – North Carolina A&T vs. SC State (Atlanta Classic) filmed by Thomas L. Jones Jr.
discussed if the bands travel: Hampton vs. Norfolk (The Battle of the Bay), BCU vs. Sav St.
discussed if the bands travel: Livingstone vs. Winston Salem, FAMU vs. North Carolina A&T filmed by Thomas L. Jones Jr.